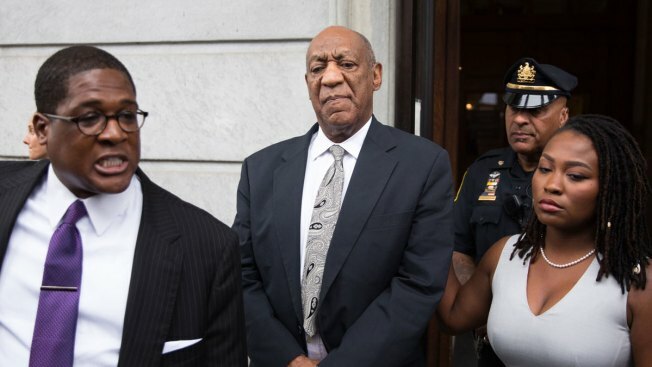 Cosby's first trial on charges he drugged and molested a woman at his suburban Philadelphia home in 2004 ended in a hung jury. Bill Cosby has hired Michael Jackson's former lawyer to represent him at his November retrial on sexual assault charges in Pennsylvania. Cosby's spokesman announced Monday that the 80-year-old comedian is bringing in Tom Mesereau to lead a retooled defense team. Lawyers from the first trial in June had said they wanted off the case. Mesereau won an acquittal in Jackson's 2004 child molestation trial. He has also represented boxer Mike Tyson, actor Robert Blake and rap mogul Marion "Suge" Knight. Mesereau will be joined by Sam Silver, who represented now-imprisoned former U.S. Rep. Chaka Fattah of Pennsylvania in a corruption case, and former federal prosecutor Kathleen Bliss.